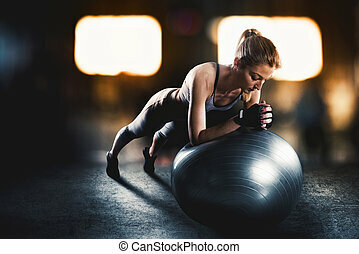 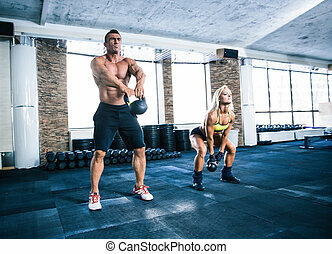 Muscular man and fit woman workout with kettle ball at gym. 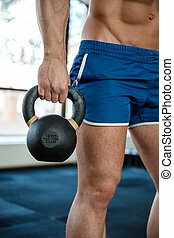 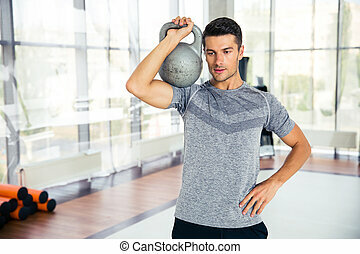 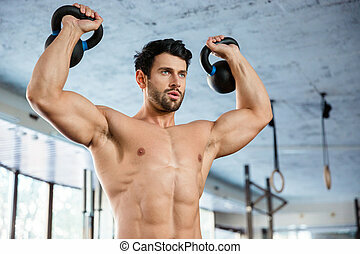 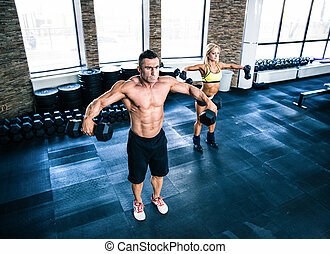 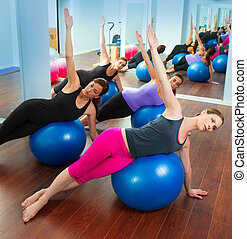 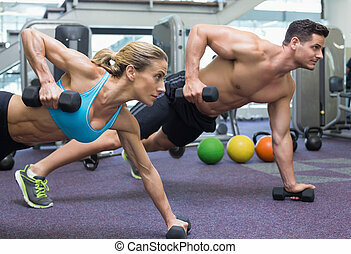 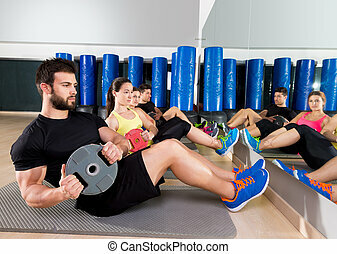 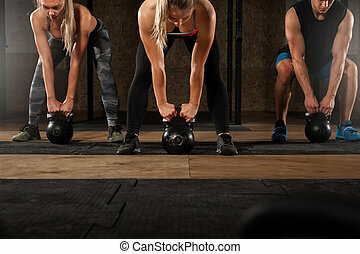 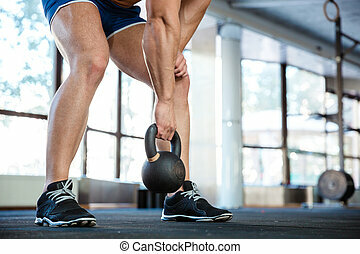 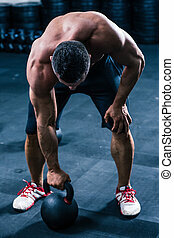 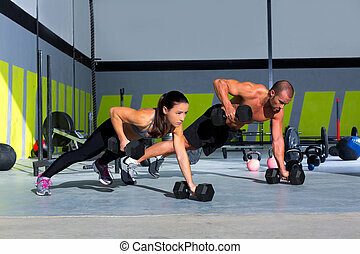 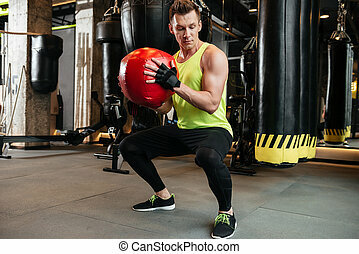 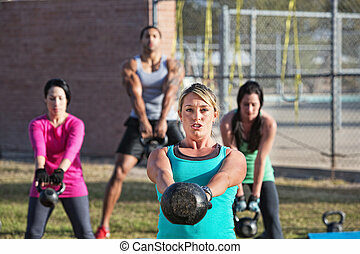 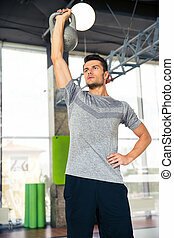 Group of muscular adults doing exercises with kettle bell in gym. 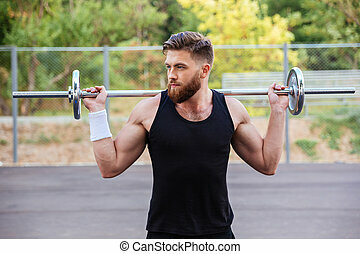 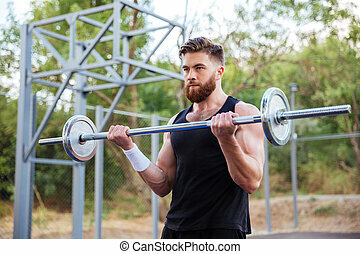 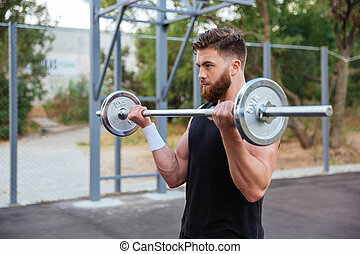 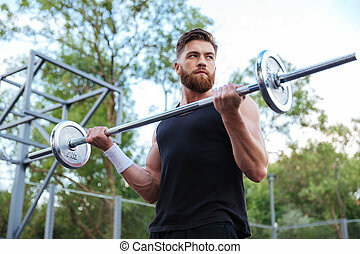 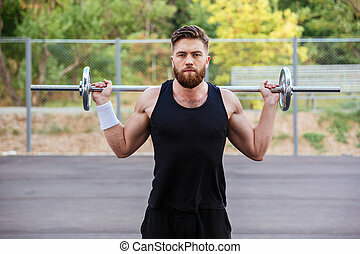 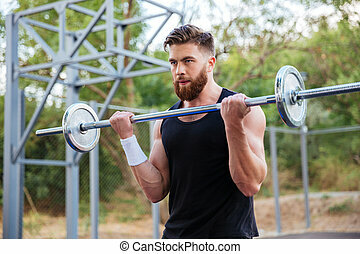 Weightlifting, power lifting workout. 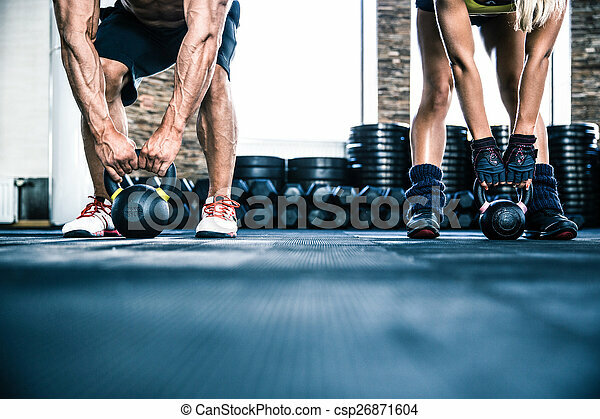 fitness, sports concept.